Fall is here with its smell of pumpkin-spiced lattes and the sound of crunchy leaves rustling. And though I was in denial for weeks, I’ve finally given up on wearing summer dresses to school, and decided it’s time to embrace the changing season. Unfortunately, this fall also ushered in with it a “government breakdown,” which we are all no doubt sick of hearing about. And while unnecessary, annoying, and devastating for some, this breakdown in community- the community we call Congress- should not overshadow the daily successes going on around us, mostly unnoticed. My Community-Based Management course, taught by Dr. Liz Shapiro, recently visited this organization. We arrived at the 4-acre incubator site located just outside of Carrboro in Chapel Hill in the middle of an energetic pow-wow. A dozen or so of the 140 Karen refugees from Burma, who work with Transplanting Traditions, were talking farm-strategy. Our host and project manager, Kelly Owensby, explained that this is one of many meetings and workshops that transpires at the farm, which has become a central meeting place for the Karen community. 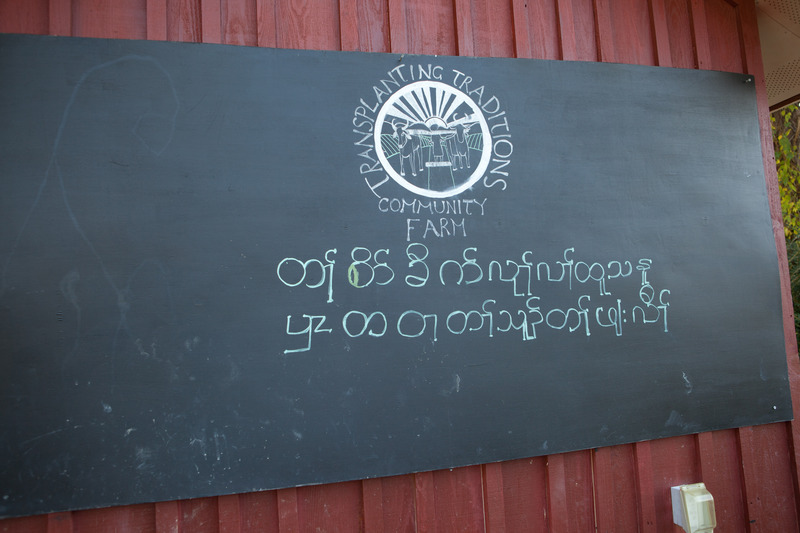 Transplanting Traditions has drawn such a crowd, because the organization provides a unique partnership in which they teach the refugee families, who were farmers in their homeland, sustainable agriculture methods through weekly onsite workshops. The farmers learn about topics ranging from soil fertility and pest management to food preservation and then apply the lessons to their personal plots. A Karen refugee hard at work on the farm. 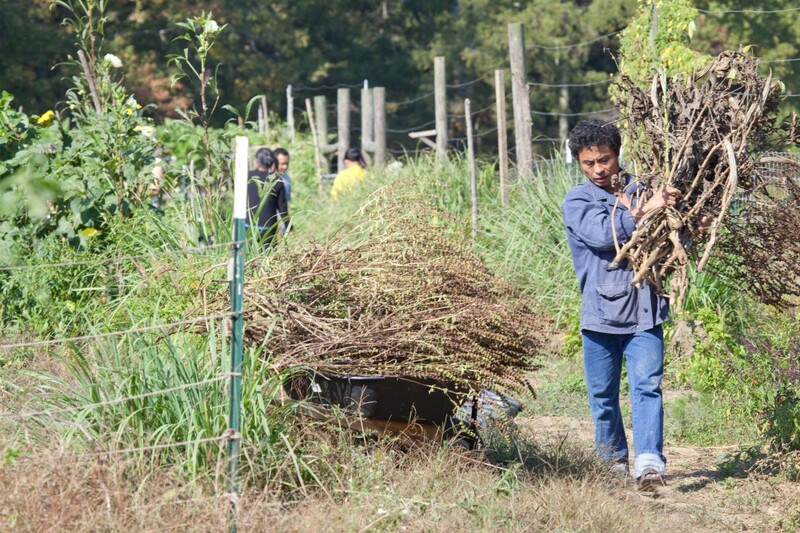 This means that alongside sweet potatoes and cauliflower, the participants also cultivate native flora like taro root, kermit eggplants, and lemongrass. Several of my fellow students and I were so impressed with the Transplanting Tradition model and how it is supporting an otherwise disenfranchised group, that we decided to fill many of their remaining Community Supported Agriculture (CSA) subscriptions. So now, each week, I get to pick up a box of fresh veggies and fruit, hand-grown and picked by Ae Htee Kaw, the farmer with which I’ve been paired. I got my first spoils today and am already dreaming up creative ways to use the thai basil and turmeric. So tomorrow night, after I’m done chopping and slicing, and all the ingredients are sizzling in the pan, I will be thinking about Ae Htee Kaw and the re-built community of which he is a part. One that is productive and nurturing. One that evolves and adapts as new lessons are learned. I will choose to dwell on that, and hope that Congress eventually chooses this model over its broken, tired one. 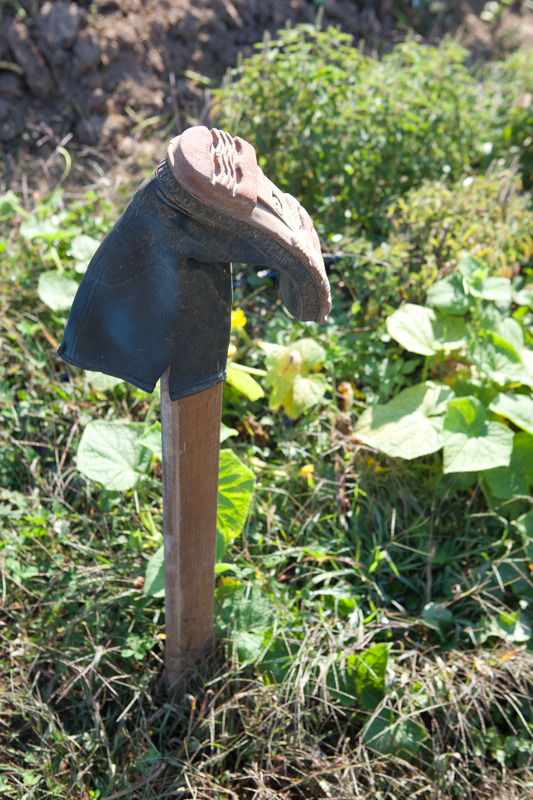 I enjoyed the article as well as the CSA from Transplanting Traditions! Looking forward to to more fresh veggies to come!